While you may love your dog and the way they greet you after work or how they always seem to know you when you need a friend, you might not always love everything about them. There's no denying that your dog's breath is probably one of your least favorite things about them even when they are just being affectionate and cute. To make a dog's breath smell better can be done through some natural and healthy ways. 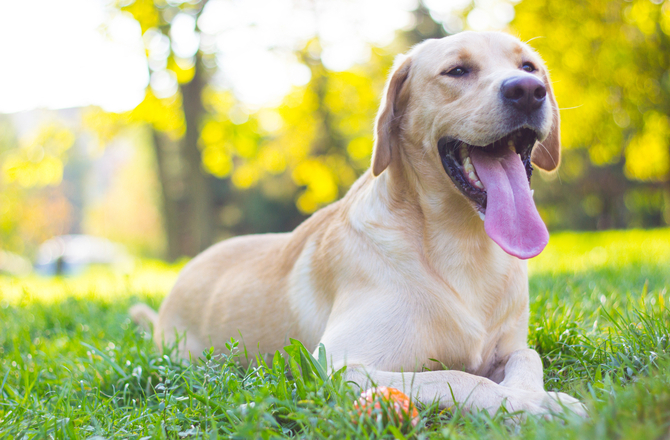 Read on to learn how your dog can have minty fresh breath. Just like your teeth, your dog's teeth can benefit from regular brushing. You can find natural dog toothpaste at your local pet store that will help keep your dog's teeth healthy and breath fresh. Don't use regular, human toothpaste on your dog's teeth as this is not safe for them to swallow. If using a doggy toothbrush and toothpaste is too much of a challenge for you and your dog consider, using a single-use dental wipe. Cinnamon is great for freshening breath, and it can also help break up particles of food that can be stuck in your dog's teeth. By adding cinnamon to your dog's food, you will help them break up these food particles and in turn, help them fight off the bacteria in their mouth that can cause bad breath. Giving your dog the right toys to chew on can help keep their teeth clean. When your dog chews on a toy, they naturally rub and clear away plaque and debris from their teeth. Ensure that the chew toys you provide your dog are appropriate and will not make your dog's breath worse. Avoid nylon toys, rawhide, or other hard toys or treats that can actually cause damage or breaks in the teeth. How to make a dog's breath smell better? You'll want to consider dental chews and treats as well as raw bones that will encourage them to chew to keep their teeth clean. There are many ways you can make your dog's meal a gourmet treat that freshens breath. Parsley and mint are two herbs that are healthy for your dog and will leave them with breath that will make those excited greetings when you return home more enjoyable for both of you. Probiotics are essential for maintaining a healthy gut for humans and dogs alike. Probiotics aren't just essential for the gastrointestinal system, it is essential for oral health as well. By adding supplements in dog probiotics to your dog's diet, you will not only allow them to maintain a healthy gastrointestinal system, but will improve their oral health as well. Coconut oil has many uses and one of them is to help freshen breath. There are plenty of reason why you would want to add a spoonful of this oil to your dog's food, but most importantly is that it will leave your dog's breath smelling sweet and refreshing. Your dog's bad breath may be caused by something they are eating. Many dogs have the unhealthy habit of eating garbage, feces and other inappropriate or non-food items. Consider changing your dog's diet to one that promotes proper oral health. Wonder how to make a dog's breath smell better? It will require a close eye on what they are eating. These items are often the cause of bad breath. There are many products available that you can add to your dog's water to help fight plaque and bad breath. While this is not a stand-alone solution to provide your dog with proper oral hygiene, it is an effective way to keep the plaque levels in their mouth down. Talk to your veterinarian to determine which water additive would be beneficial for your dog. To help your dog maintain healthy teeth and gums, you want to schedule regular dental cleanings. How often these cleanings should be will depend on the bred, size and age of the dog as well as home cleanings you already do. While taking the extra measure at home to help prevent bad breath in dogs is vital, it is not enough to have a long-term effect on their oral health. Your dog's bad breath might not be just because of poor oral hygiene. Bad breath in dogs can be a sign of other serious health conditions. It is best to see your veterinarian if you believe your dog may be suffering from another health issues that could also be causing the bad breath. How to make a dog's breath smell better? It may need medical attention. If your dog has broken teeth, excessive drooling, loss of appetite, swelling in the mouth, difficulty breathing or has difficulty swallowing, then take your dog to the vet immediately. I Can’t Taste Anything, Why?